The Official Languages Commissioner, An Coimisinéir Teanga has said RTÉ is "seriously deficient" in the amount of Irish language television programming it produces and it is in breach of the language provisions of the Broadcasting Act 2009. An Coimisinéir Rónán Ó Domhnaill said less than 1% of programmes broadcast on RTÉ television are classified as Irish language programmes. RTÉ has said while the report finds it is in breach of some of its linear television obligations, it is fulfilling its obligations in relation to Irish language news programmes and radio programmes and is making innovative developments online and on digital platforms, which are not within the scope of the commissioner's report. Under the Broadcasting Act 2009 RTÉ is obliged to provide a comprehensive range of programmes in English and Irish to reflect the cultural diversity of the whole island, including coverage of sporting, religious and cultural activities. The investigation was carried out following a complaint from a member of the public. The report recommends that the broadcaster provides his office with a clear implementation plan setting out the measures it will take to meet its statutory obligations. In response, RTÉ said that although the report finds it in breach of some linear television obligations, the broadcaster is fulfilling its mandate regarding television news and its radio output as a whole. It also said that RTÉ's Irish language content online and in digital media is not within the scope of the report, nor is its contribution to TG4 schedules, and it said it spent almost €25m on Irish language output in 2017. It said it will report back to Mr Ó Domhnaill in the coming months. In all, the office of An Coimisinéir Teanga received 634 complaints in 2018, many of them relating to signage and stationery, response in English to communications in Irish, and difficulties in using names and surnames in Irish. Speaking on RTÉ's Morning Ireland, Mr Ó Domhnaill said: "According to RTÉ's own figures, 0.7% of programmes on RTÉ television in 2017 could be classified as Irish language programmes. "Even the most benign Language Commissioner in the world couldn't accept that that would equate to a comprehensive range of programmes in the Irish language. "The duty and the onus is on RTÉ now to ensure that in the future that they do adhere to the legislation." Mr Ó Domhnaill said he has recommended that RTÉ reports back to him in June, with a plan about how it intends to do this and said he looks forward to engaging with RTÉ in the future. Director of Content with RTÉ Jim Jennings said the broadcaster has been engaged with An Coimisinéir Teanga for over a year on the issue of Irish language broadcasting. He said that although the Coimisinéir Teanga separates out RTÉ television from other services, the broadcaster is actually moving in another direction with its 'One RTÉ' strategy, which is based on a portfolio of services. Mr Jennings said that while 0.7% is very low, RTÉ does not view it as a "platform by platform" issue, and instead feels that the hour a day of Irish language programming it provides to TG4 is part of its content, although the Comisineir says this is not the case. He said the BAI has ratified RTÉ's five year strategy which is gone to the minister and is based on cross platform services. Mr Jennings said RTÉ Director General Dee Forbes said at the Public Accounts Committee that she would like to see more television content through Irish, but that the BAI has said RTÉ needs €30 million to deliver on its remit. He said additional funding is needed, not just for Irish language content but also in arts, culture, young people's programmes and drama. He said RTÉ has given a commitment to An Coimisinéir Teanga that it will be back to him before 1 June with a response and it does intend to address this issue as best it can. A spokesperson for the BAI said it notes the recent report from An Comisinéir Teanga, regarding RTÉ's provision of Irish language content. 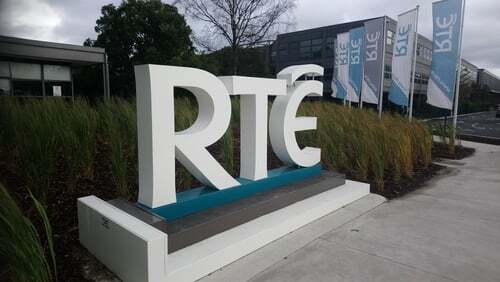 The BAI reviews the performance of Irish Public Service Broadcasters (RTÉ and TG4) on an annual and five-year basis. These reviews consider how the broadcasters have performed against their commitments and targets - across a wide range of areas, including Irish language programming. The BAI will shortly commence its review of RTÉ's and TG4's performance in 2018, in which the broadcasters' respective performance against their commitments with regard to Irish language will again be comprehensively reviewed.